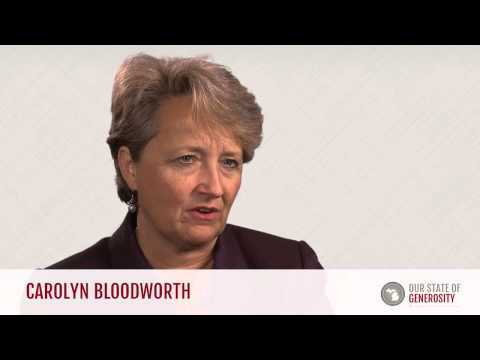 Ms. Carolyn Bloodworth is the long-time director of corporate giving for the Consumers Energy Foundation. She brings the perspective of a corporate grantmaker to understanding the Michigan philanthropic scene. She has served as the board chair for the Michigan Community Service Commission, and vice chair of the Council of Michigan Foundations and the Michigan Nonprofit Association. In these leadership roles, she has participated in the creation of the culture, and implementation of the programs, of Michigan’s philanthropic sector. 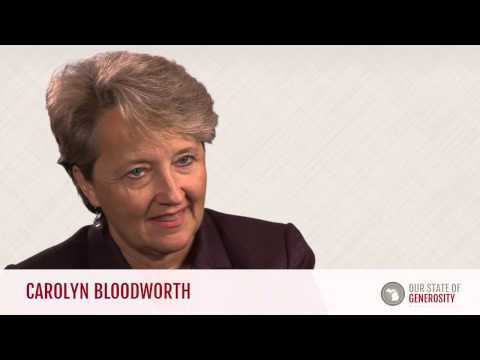 Ms. Carolyn Bloodworth talks about her career in philanthropy. Ms. Carolyn Bloodworth talks about the value of engaging youth in philanthropic lessons early in their educational careers. 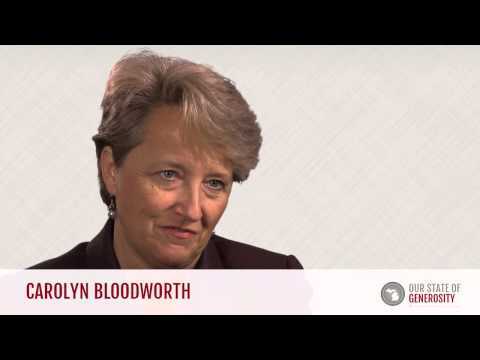 Ms. Carolyn Bloodworth talks about the importance of relationships and human capital in the philanthropic sector. 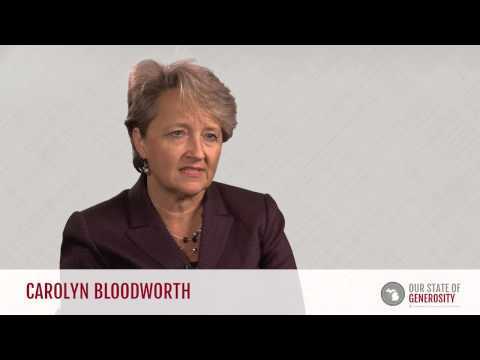 Ms. Carolyn Bloodworth talks about the role of public policy in the Council of Michigan Foundations (CMF) and the Michigan Nonprofit Association (MNA). 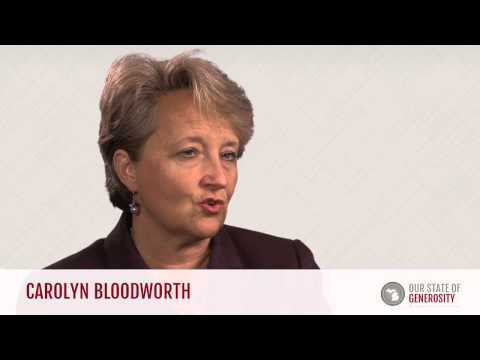 Ms. Carolyn Bloodworth talks about the importance of listening in philanthropic leadership. Ms. Carolyn Bloodworth talks about why members wearing "multiple hats" has been so effective in Michigan's philanthropic sector. Ms. Carolyn Bloodworth talks about how Michigan members have balanced personal biases in public policy work while wearing multiple hats. Ms. Carolyn Bloodworth talks about how Michigan's philanthropic leaders worked together to represent the needs of the state. Ms. Carolyn Bloodworth talks about the inspiring vision and fearlessness of Michigan's philanthropic leaders. Ms. Carolyn Bloodworth talks about the powerful mission of the ConnectMichigan Alliance (CMA). Ms. Carolyn Bloodworth talks about how Consumer's Energy continues to support youth through the America's Promise initiative. Ms. Carolyn Bloodworth talks about how Consumer's Energy supports a variety of Michigan communities through grantmaking. Ms. Carolyn Bloodworth talks about how the Council of Michigan Foundations (CMF) has helped her as a corporate grantmaker. Ms. Carolyn Bloodworth attended college courses at Western Michigan University (WMU) before receiving a Bachelor of Arts degree in business from Spring Arbor University. Ms. Bloodworth first began working with the Consumers Power utility company in 1981, while she was taking classes at WMU. In 1992, a few years after completing her degree from Spring Arbor University, she began working in the corporate giving area of Consumers Energy, shortly after the company had formally established a corporate foundation. By 1997, she was running the foundation’s grantmaking program, which extended to 17 states and 21 countries. She currently holds the position of director of corporate giving and education for both Consumers Energy, and its parent company, CMS Energy. Ms. Bloodworth also serves as the secretary and treasurer for the Consumers Energy Foundation and the CMS Energy Foundation (1). 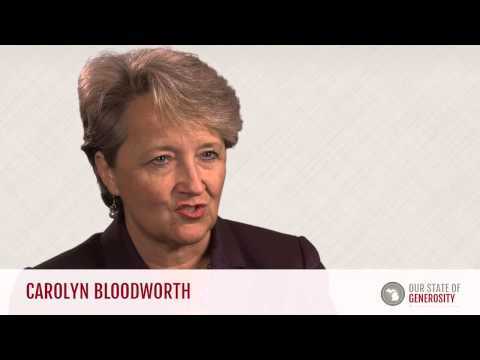 Ms. Bloodworth has given her time to a variety of causes and organizations. She is currently involved with over half a dozen nonprofit boards, including Michigan FFA Association, Michigan Nonprofit Association (MNA), The LEAGUE Michigan, Council of Michigan Foundations (CMF), Baker College of Jackson (board of regents), Michigan Community Service Commission (MCSC), and the United Way of Jackson County’s Community Solutions Coordinating Council. Through her work with The LEAGUE Michigan, Ms. Bloodworth has worked to develop plans for K-12 education infused with philanthropic elements, similar to the one she received as a child. She mentioned in her recent interview with the Our State of Generosity project that volunteerism was an integral part of her upbringing and she would like to provide those opportunities for the future generations of Michigan’s youth. Previously, Ms. Bloodworth served on the board at the Food Bank Council of Michigan, Junior Achievement of the Michigan Edge, Jackson County’s Promise to Youth Alliance, the Arts and Cultural Alliance of Jackson County, and the Nonprofit Network. She has also worked with the community advisory board for Michigan State University’s public radio program, WKAR, and served as a director for the ConnectMichigan Alliance. 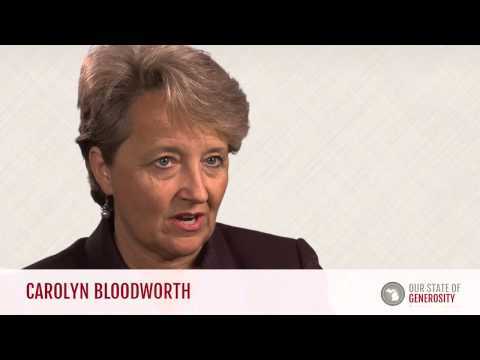 Ms. Bloodworth’s career represents a distinctive collaboration of the for-profit and nonprofit sectors. As she has noted, “many of our business leaders in Michigan, particularly many at my company, are actively involved in the nonprofit sector, they are actively involved on foundations, they serve on many, many boards.” Through her work with Consumers Energy, CMF, MCSC, and MNA, she has experienced the for-profit, foundation, and nonprofit aspects of Michigan’s infrastructure. This intersection of interests and organizations tends to center around the desire to improve the state of Michigan. Ms. Bloodworth suggests that these intersections contribute to the health of these organizations individually, and to the state as a whole. 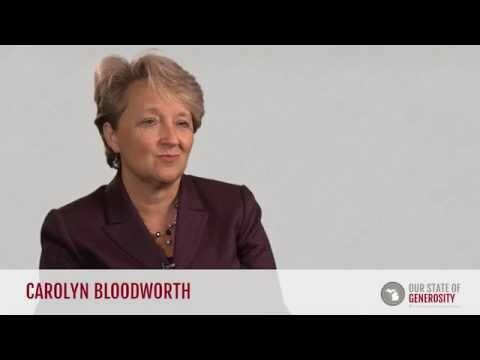 Through her work with Consumers Energy, CMS Energy, and her service to various nonprofit organizations, Ms. Bloodworth has made a profound impact on youth, education, and community development within Michigan. 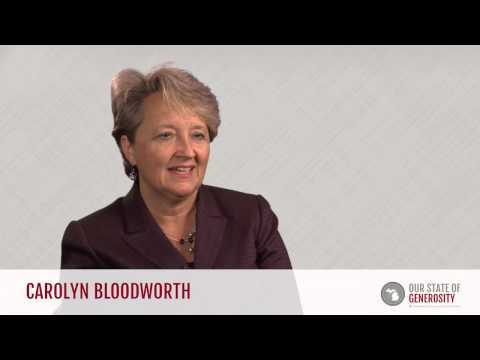 Ms. Bloodworth was interviewed regarding her insights and experiences in working with Michigan’s philanthropic community and the Our State of Generosity (OSoG) partners. The following are selected quotations from her interview specifically related to the five organizing themes of the OSoG project.